Location: Lake Elsinore, CA ~ So. Cal. XJ Jeep for sale, $2300!!! Runs. Just need the money otherwise would keep it. Needs some minor work. Rebuild enginge and rebuilt transmission with less the 300 miles on both. Registered, street legal. New cat. and new muffler. Tow hitch. Is currently in garage until sold. Will start every day to keep new battery charged. Will drop $150 to compensate for missing rear window until I get the window fixed or make offer. Please email/PM for more pictures. 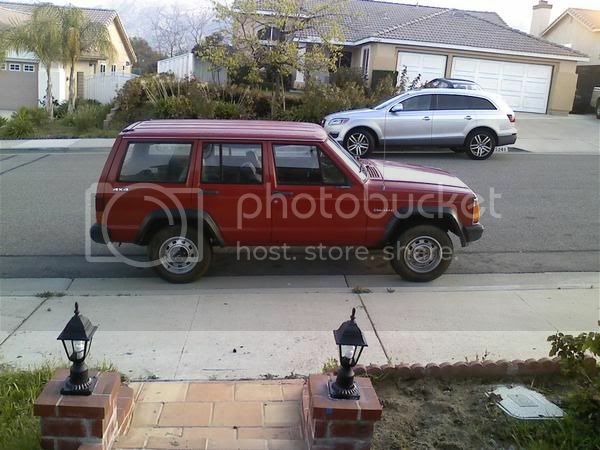 Call 9516787518 or email/PM for any questions or to see vehicle. Leave message on voicemail. will return calls after work. Last edited by GooberTard; 05-20-2009 at 04:00 PM. lol, i forgot to put the price. i think i updated it. $2300. Located in Lake Elsinore, in Southern California, between Riverside and Temecula. 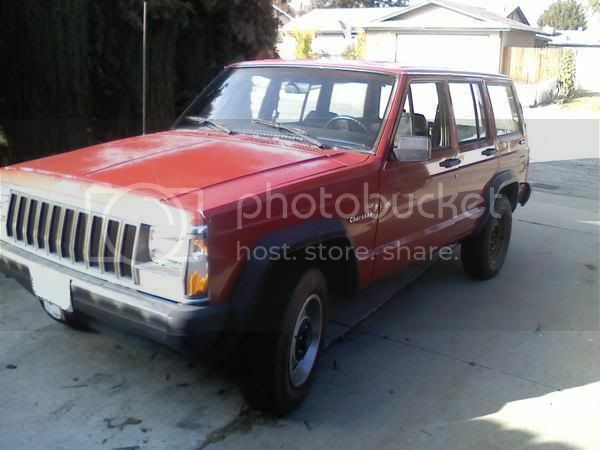 bump to try and sell this jeep!